Or leave a message below and we'll get back to you as soon as possible. 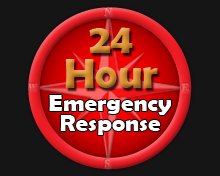 Compass FMB Ltd now offer our clients a 24 hour 365 day response service. The service is tailored to each clients individual needs. A Service Level Agreement (SLA) with response times and an agreed scale of rates is provided to each customer. © 2019 Compass FMB Ltd, Griffin Bridge House, 56 Northfield Road, Netherton, Dudley, DY2 9JA.